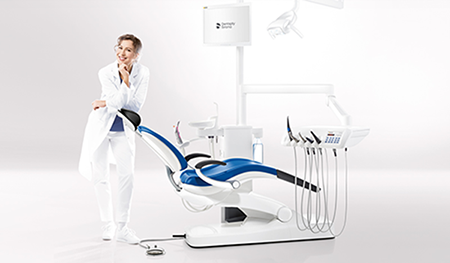 Excellent performance and innovative functions at a great price, customized options for great value. 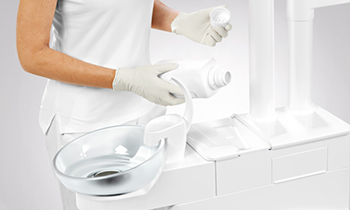 Integrated, comprehensive hygiene concept for optimal results. 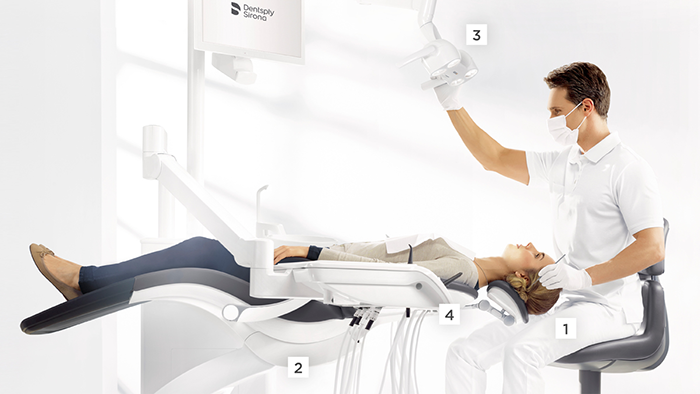 EasyTouch tuchscreen and integrated foot control concept for easy,intuitive operation. Flexible assistant element suitable for two-or four-handed treatment. 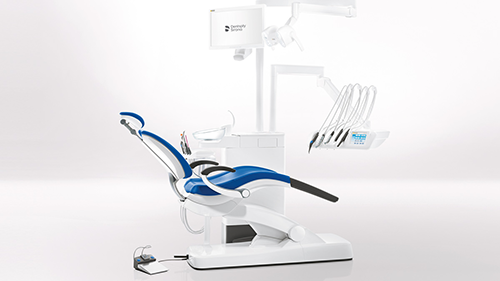 Numerous equipment options with a great value. Available as the TS model with hanging hoses or CS with whip arms. 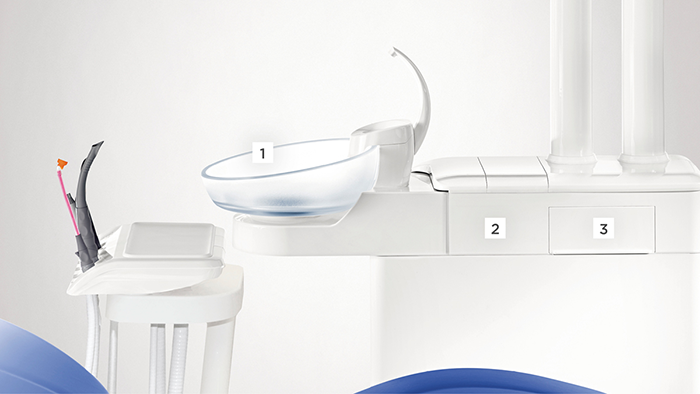 Treatment center with a compact water unit for optimal use of sapce. 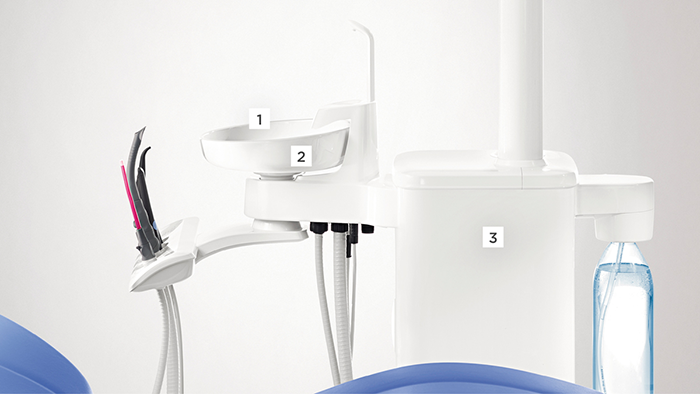 EasyPad user interface for easy,intuitive operation. Compact assistant element with good freedom of movement. 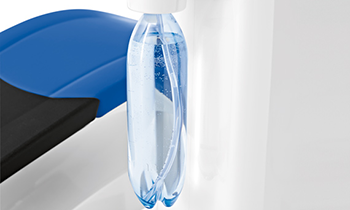 Controlled water quality with a self-contained fresh water supply bottle. 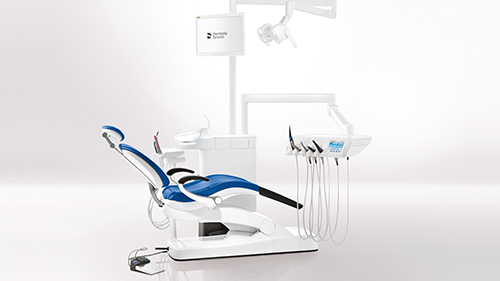 Design so you can comply quickly and easily with all hygiene regulations. 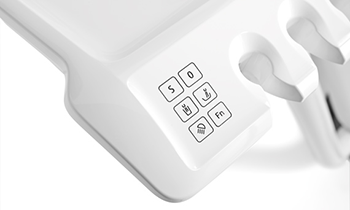 The comfort water unit and assistant are based on a comprenensive infection prevention compact. Removable and swiveling, made of high-quality glass. Compatible with all conventional central wet or dry suction systems,including amalgam separator. 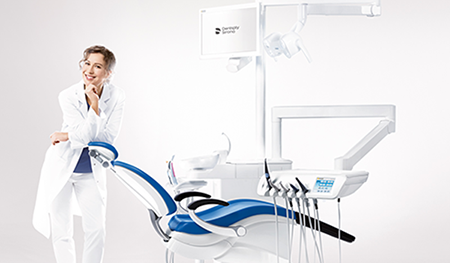 Automatically purges all instrument waterlines on the dentist and assistant side. 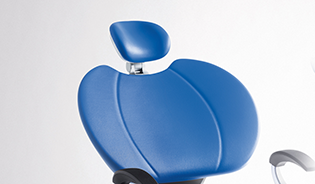 The largely gap-free design of the surfaces ensures maximum infection control in the shortest time possible. For automatic purging of instrument hoses (Autopurge) and sanitization of the water lines. Cleaning agent container for chemical purging of the suctionlines. The concentration of cleaning agents can be adjusted individually. 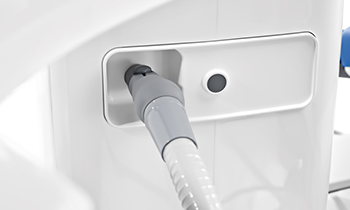 Permanent disinfection of all water lines with Dentosept P. Automatic sanitizing function for regular intensive disinfection. Can also be used with self-contained water supply. 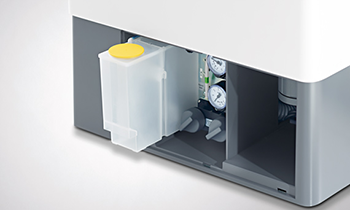 The Compact water unit and assistant element can be adapted to many different demands and requirements by freely selectable suction systems and infection prevention options. Compatible with all conventional central wet or dry suction systems, including amalgam separator. 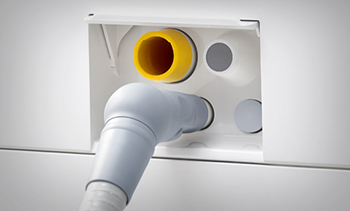 Cleaning adaptor for automatic purging of saliva ejector and spray aspirator. For controlled water quality. Can also be filled with Dentosept P solution for permanent disinfection and manual sanitization. Design for intuitive handing and optimized, integrated workflows. 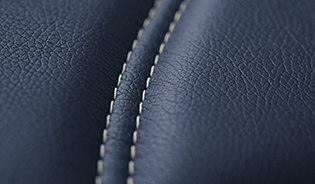 Classic, timeless combinations for an especially high-class look. Soft, warm shades for a soothing treatment atmosphere. Vivid colors and bright tones for a modern, lively atmosphere. utmost relaxation. Contoured surface for perfect positioning.